It is possible to gamble in the real cash mode in Sweden but it is only legally permitted under the strict watchful eye of the Swedish government and its authorities. The monopoly over the online gambling market in Sweden in 2015 is controlled by ATG (AB Trav och Galopp, the Swedish Racing Totalizator Board) and Svenska Spel. AB Svenska Spel initially formed in 1997 when the two main Swedish Lotteries, Svenska Penninglotteriet and Tipstjanst, merged in to one single organisation. Today, ATG and Svenska Spel have complete control over sportsbetting, poker games, land based gaming machines, casinos, horse racing and lotteries and they both accept wagers via the internet. Swedish players can basically place real cash wagers at these sites using their home computer, mobile or tablet device. At the time of writing, it is impossible for foreign operators to offer their services to Swedish gamblers and the current monopoly has received widespread criticism from the European Union and also from its constituent nations. Over the years, several other home-grown gambling operators have also tried to engage themselves in Sweden’s profitable market, but have yet to succeed. Svenska Spel is therefore generating huge annual revenue, but the occasional stories tend to surface about the possible break-up of this monopoly and that the government will introduce a more liberal approach within the domestic market. The Swedish government has openly discussed its plans to implement liberalisation legislation in 2014 and this would also attract a great deal of interest from foreign operators who are currently licensed offshore. As soon as we have more information on these changes we will publish the facts here. Most of today’s Swedish gamblers currently spend their hard-earned cash at casinos which operate from outside of Sweden. Fortunately, Swedish players now have access to some of the best online casinos in the world and these impressive gambling portals are powered by some of the world’s leading online casino software providers. You will find that today’s best Swedish online casinos are generally licensed in jurisdictions such as Gibraltar (by the Government of Gibraltar), in Malta (by the Malta Gaming Authority – formerly the Lotteries & Gaming Authority of Malta), in the United Kingdom (by the UK Gambling Commission), on The Isle of Man (by Gambling Supervision Commission), in Alderney (by the Alderney Gambling Control Commission), or in Kahnawake, Quebec, Canada (by the Kahnawake Gaming Commission). You will also find that some Swedish casinos are licensed in Curacao (formerly Netherlands Antilles, by the Curacao Internet Gaming Association / CIGA), or in Antigua and Barbuda (by the Directorate of Offshore Gaming). Today’s most highly recommended Swedish online casinos support Svenska and several other major languages, plus many of them now provide 24 hour toll-free support. These impressive casinos have all been reviewed right here on this website, they all accept a wide range of popular Swedish online payment options and they all accept Swedish Krona (SEK). 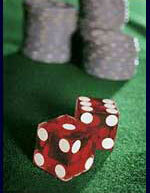 Swedish Gambling Authority - The official website for the Swedish Gambling Authority.